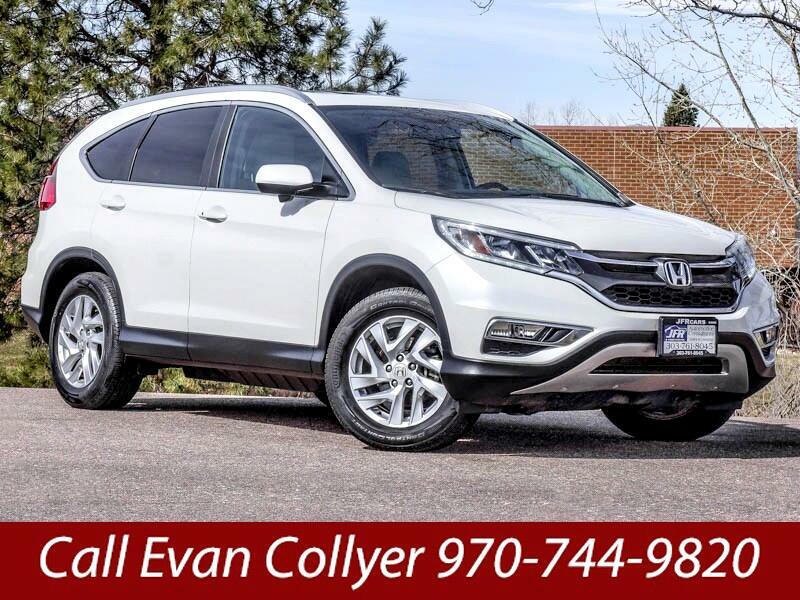 Used 2015 Honda CR-V EX-L AWD w/ Navigation for Sale in Littleton CO 80120 JFR & Associates, Inc.
You want more out of life, and you'll get it with this Honda CR-V. When it comes to fuel economy, it's one of the best in its segment (City 26 - Hwy 33). Fewer stops at the gas pumps add up to having more money in your pocket every month. These SUV deliveries all the ingredients you are looking for in a family-friendly vehicle: value, comfort, flexibility, and a modern look. The interior provides a roomy, comfortable ride for you and your passengers. And even big people can fit in the back seat. Once you get behind the wheel of this CR-V, you'll quickly see, hear and feel the difference that makes this SUV stand out from the crowd. This sport utility vehicle comes with a variety of options like CD player, Bluetooth integration, a backup camera, deep tinted glass, fog lights, leather seats, heated seats, sunroof, second-row heated seats, keyless entry, plus lots more to make your driving experience more delicious. Contact us today and schedule a test drive so you can find out for yourself how easy this Honda CR-V handles and drives.